Emily, an American high school student who is a high achiever sees a classmate who is developmental disabilities be physically attacked at an American football match and instead of seeking help she freezes and runs away from the incident. She also see's one of the players, Lucas witness the attack too and assumes he is there to help, but unfortunately he makes the same mistake as Emily. 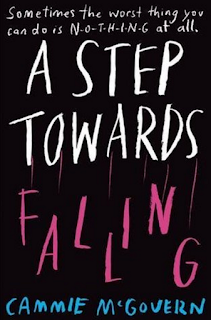 A Step Towards Falling is told from two point of views, Emily as she goes through her punishment for doing nothing to help Belinda, and Belinda as you see what it is like for someone with developmental disabilities to get over the attack and how they have both dealt with it as they are both nearing the end of their high school life and think about what else is out there after high school. One thing I enjoyed about this book is reading Belinda;s parts of the book. It was quite heart breaking at times and I think Cammie did a good job of describing the different thought processes someone with a learning disability may have as they have difficulties comprehending certain situations. She also did a great job of showing the difference between how Emily thinks about Belinda's compared to what Belinda things of her behavior too. Emily was also started of as being quite interesting too because she isn't the most likable of characters, although I'm not sure if this has been done on purpose or not. You also get the feeling that her friends aren't all they are cracked up to be too so you feel sorry for her for different reasons. Unfortunately though, this book fell a little bit flat for me. It was perfectly nice, but it never really did anything to push the boundaries. 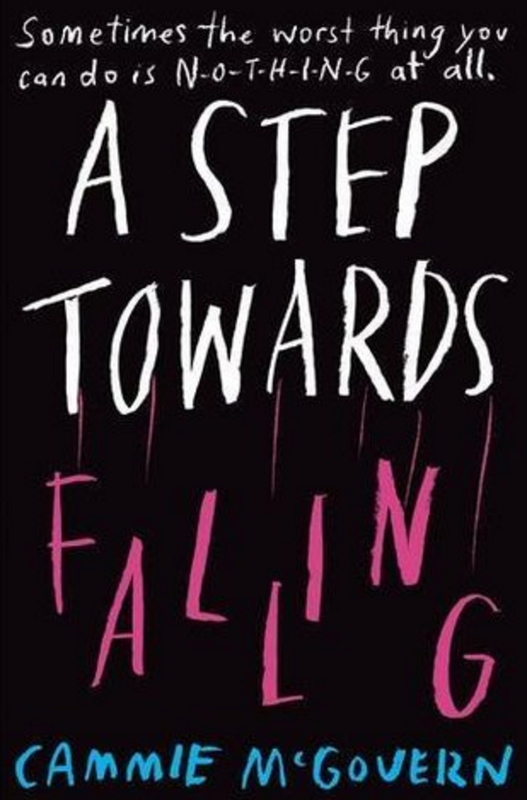 The ending was also very predictable and although this book had some great realistic themes, the ending felt quite false and everything was wrapped up way too nicely which I didn't think fit the tone that the book was first trying to create. This was a fine read though. There is nothing that wrong with it, but it just didn't stand out too much for me and in the end was just 'nice' and 'fine'. If you are interested in looking into developmental disabilities a bit more though this may be the book for you as it offered a great insight to a topic that isn't widely discussed.